Created in 1876 for Czar Alexander II, this is a Champagne at it’s finest, as inspired today as it has always been, the embodiment of elegance and purity. Golden hued with slightly orange-coloured and warm highlight, it has impeccable, fine, regular, and dynamic bubbles. Its classic bouquet is both elegant and discreet. The attack of juicy ripe fruits (Pear Williams) and slightly acid red fruits (redcurrants) combined with nuances of hot pastries and Tarte Tatin that have just been taken out of the oven. The wine is ready to reveal its many qualities and, after a few minutes in the glass, reveals notes of white chocolate and hazelnuts produced by the fermentation in wood of some of the wines from the 2007 harvest. This juxtaposition of aromas of ripe, acid, and sweet fruits with the more roasted notes resulting from ageing becomes more pronounced over time and produces a real impression of depth. The attack in the mouth is concentrated and continues with mature fruits. The wine is prolonged by smoky flavours, once again creating the impression of natural depth. The textures are silky, velvety, and almost luscious; they provide perfect overtones to the wine’s freshness in a luscious and sensual ensemble. Powdery and salty nuances stimulate the edges of the tongue, adding a precise and energetic quality. And the final phase of the tasting is predominantly an impression of refinement and lightness. 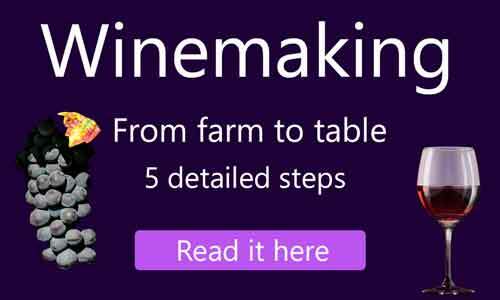 58% Pinot Noir – 42% Chardonnay – 15% wines matured in wood (oak barrels) with weekly batonnage – no malolactic fermentation. Cristal is made according to the strictest criteria based on a drastic process of selection applying to the vintage, the cru, the village, the grapes and finally the wines. Only Pinot Noir and Chardonnay grapes from the House’s 10 most celebrated crus are used in the production of this legendary cuvee. Did you know that Loius Roederer Cristal is the only Champagne to have a flat bottom? It’s because the Czar was paranoid that somebody was going to assasinate him, by putting a bomb into the punt (recess) of a bottle of Champagne. The design was therefore changed to a flat bottomed bottle.